As is the case with most Latin American countries, the majority of Peruvians meet their romantic partners via the traditional methods of mutual friends, organizations, work, school, or church, etc; however, this game is changing, and online dating is becoming increasingly more mainstream. Your best success with online dating in Peru will be in the big cities like Lima where there is a larger pool of people from which to choose. Peruvians don’t have the reputation for beautiful that you will find in other South American countries such as Brazil or Argentina. Don’t go into Peru expecting to find the stunners you will find in these other South American countries. Should you decide to date women or men from Peru, you might be able to find some diamonds in the rough. I know some people who have. The key is to send out a lot of messages as it will be purely a numbers game. 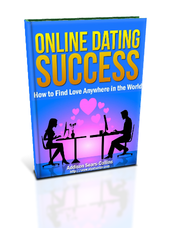 The more messages you send, the higher your chances are of finding the optimal partner. 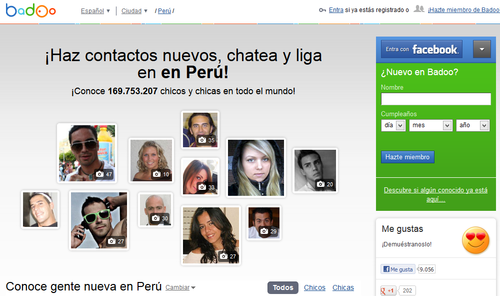 Without further ado, here is the quick list of the top three dating sites in Peru. I’ll go into more detail in my reviews below. Latin American Cupid is pretty good for Peru and, in my book, is the best site to use. A search for women living in Peru between 21 and 35 years old who have been active on the site within the last 3 months turns up more than 1000 profiles. Tagged is probably Badoo’s largest competitor (see Badoo below) in that they offer a product that is very similar. I like to leave no stone unturned in the dating search, so I recommend you sign up and give it a try after you’ve exhausted the other options above. I must say that the Tagged interface is not nearly as clean as the interface of Latin American Cupid and is a bit confusing for my tastes. Also, not all of the profiles seem to be real, meaning that you have to weed through a lot of garbage in order to find the hidden gems. If you’re interested in signing up for Tagged, check out my full write-up on the site over on my review of the best dating sites in Colombia. Badoo is really only worth your time if you have run out of options. It just doesn’t have the same quality as Latin American Cupid, which is why I would not focus on it as a starting point for your search. 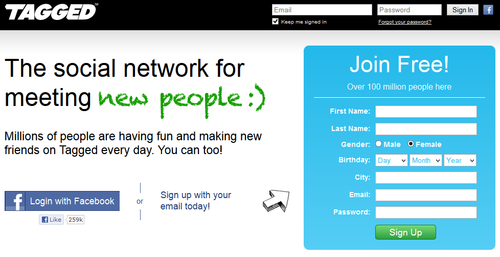 Badoo works on the “freemium” model, which means that it is free to sign up, but you have to pay for upgraded features. The site operates in over 180 countries, and is popular in Latin America and Europe. If you’re interested in signing up for Badoo, check out my full write-up on the site over on my review of the best dating sites in Brazil.